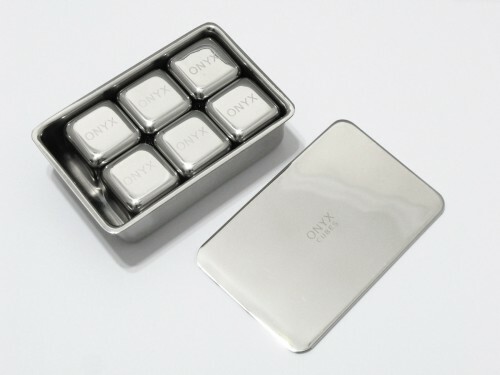 Made from 18/8 stainless steel, and distilled water these steel ice cubes will chill your drinks without diluting them. Depending on your freezer, they are ready to use in 2-4 hours. Great for all types of beverages, from milk in lunch boxes, to whiskey, and everything in betweeen. When you are finished with them, simply wash and put back in the freezer.